Contrary to what you might believe, getuping sharp doesn't require that much effort. Just rock a grey wool blazer with grey chinos and you'll look incredibly stylish. 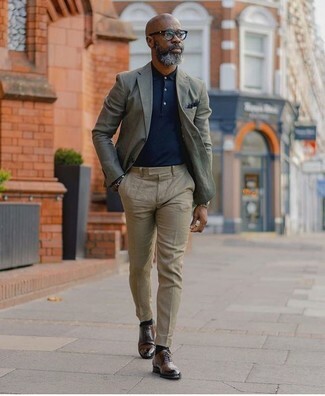 Rocking a pair of Marsèll dark brown leather derby shoes is an easy way to add some flair to your look. 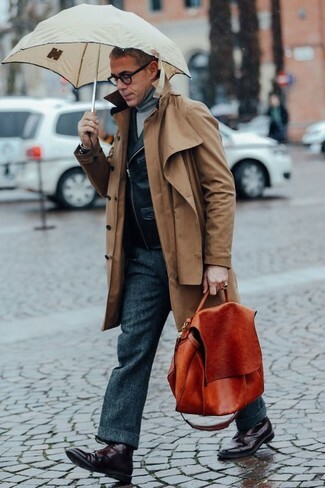 Rock a brown trenchcoat with charcoal wool dress pants to ooze class and sophistication. 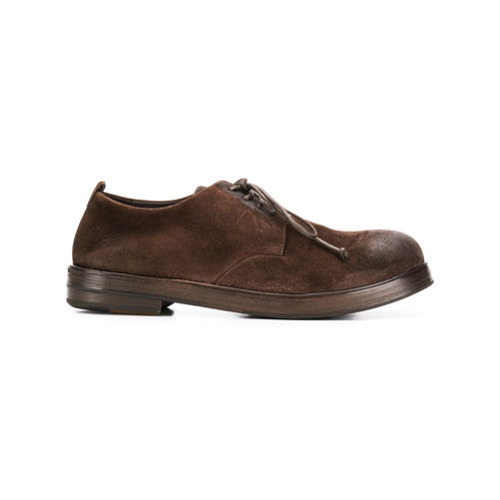 Dark brown leather derby shoes will add a more relaxed feel to your getup. 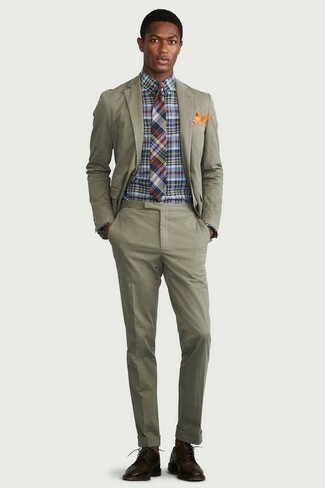 Reach for an olive suit and a multi colored check dress shirt like a true gent. For something more on the daring side to complement this ensemble, go for a pair of Marsèll classic derby shoes. For a nothing less than incredibly stylish ensemble, pair a grey blazer with beige dress pants. For something more on the daring side to complement this getup, rock a pair of Marsèll classic derby shoes from farfetch.com. 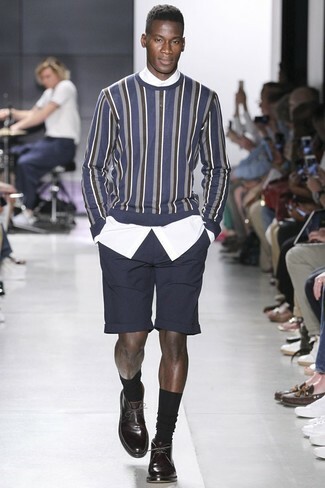 If you're scouting for a casual yet stylish ensemble, wear a navy vertical striped crew-neck sweater and black shorts. These pieces are totally comfortable and will look great paired together. 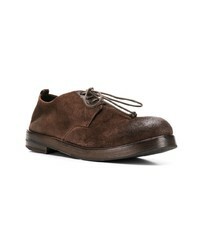 Go for a pair of Marsèll Classic Derby Shoes from farfetch.com to take things up a notch. If you're searching for a casual yet on-trend getup, rock a beige blazer with beige cargo pants. These items are super comfy and will look amazing when worn together. Dress up your look with Marsèll classic derby shoes. If you're hunting for a casual yet dapper getup, try teaming a black print short sleeve shirt with navy chinos. These two pieces are very comfy and will look great when worn together. 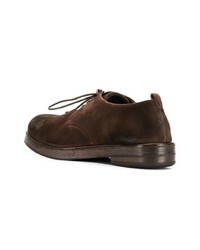 A pair of Marsèll Classic Derby Shoes from farfetch.com adds more polish to your overall look. 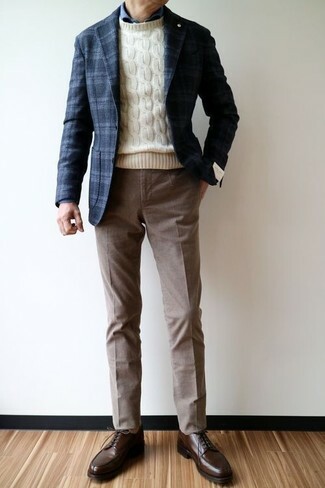 A navy plaid wool blazer and brown dress pants is a greatpairing for you to try. 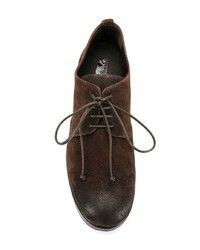 Choose a pair of Marsèll Classic Derby Shoes from farfetch.com to make the ensemble more current. 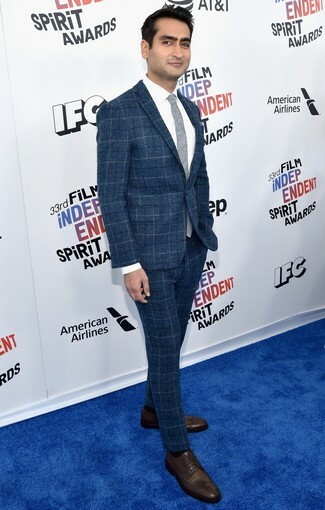 Make a blue check wool suit and a white dress shirt your outfit choice like a true gent. Make your outfit more fun by complementing it with Marsèll classic derby shoes.